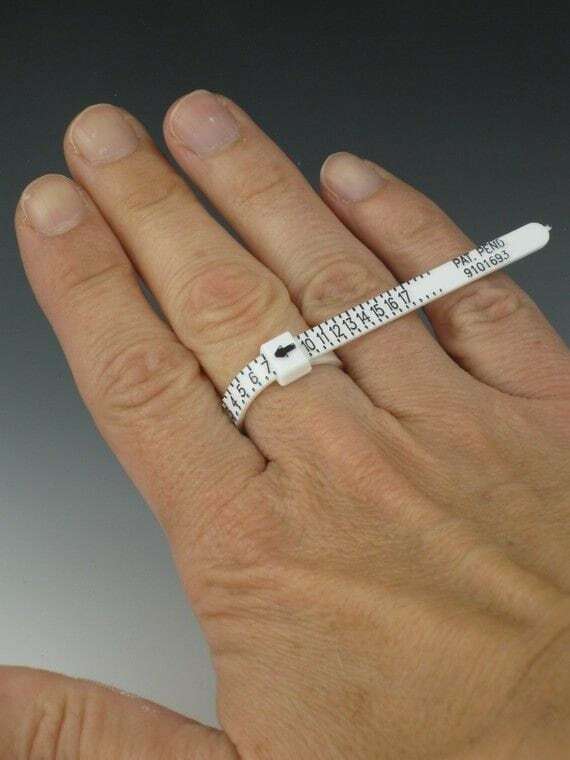 For our customers who aren't quite sure of there ring size, this is next best thing to a professional sizing. We at BRKN Creative would always rather you receive a professional fitting, but if you can't we feel confident in this product. 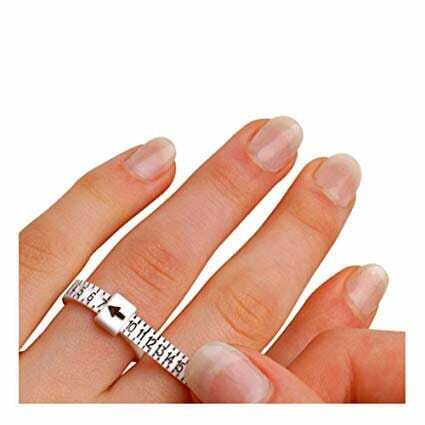 If the ring sizer is purchased from us ahead of time and your ring doesn't fit, we will exchange it one time at no charge (Custom orders do not apply). The Multisizer works like a belt. Simply push the end through the buckle to form a ring shape. 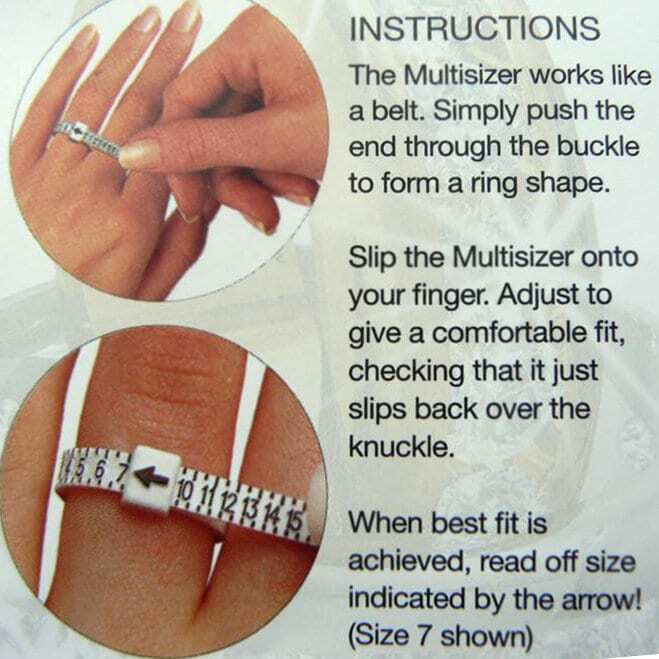 Slip the Multisizer onto your finger. Adjust to give a comfortable fit, checking that it just slips back over the knuckle. When best fit is achieved, read off size indicated by the arrow. Accommodates sizes 1-17 US.